Google recently announced ten new algorithm changes that the search giant has made to the way it displays and ranks search results. SearchEngineLand’s Danny Sullivan outlined these updates and explained what every marketer needs to know. 2. Application Rich Snippets – Google will start showing rich snippets for software applications that will provide more details within their search results. These application rich snippets will be also available to users more frequently. 3. Improved Page Titles – When creating page titles, Google will now place less emphasis on anchor text in order to enhance their relevance. 4. Ranking Boost for “Official Pages” – Google will strive harder to detect which pages are actually official, which will result in higher rankings for these official websites. 5. Much Fresher Results – In a move affecting up to 35 percent of total searches, Google’s improvements in ranking fresh content will better decide the level of freshness for each inquiry. 6. Enhanced Results for Date-Based Searches – The freshness of results will now also be determined by date to offer an additional degree of relevance. 7. Elimination of an Image Search Signal – Now, images that had references from multiple documents on the Internet will no longer be a factor in image search. 8. Greater Cross-Language Information Retrieval – Previously done only for the Korean language, Google will now automatically translate relevant English Web pages for the languages of Welsh, Slovak, Swahili, Hindi, Norwegian, Serbian, Catalan, Afrikaans, Maltese, Macedonian, Albanian, Slovenian, Icelandic, and Malay. 9. Improved Autocomplete for IME Queries – Google has improved the way that Autocomplete responds to queries containing non-Latin characters so results are no longer muddled for Hebrew, Russian, and Arabic languages. 10. Better Autocomplete for Russian Language – Russian query predictions will no longer be as lengthy or random as previously. With these changes, Google will further strengthen its search supremacy through results that deliver higher quality for every query. 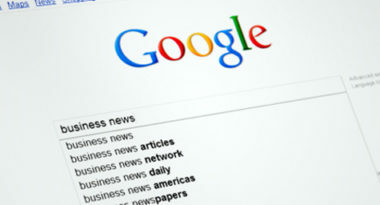 To learn how SEO can help boost your business, contact MDG Advertising today.